A new automated staff information system was recently purchased by a major corporation and needs to be implemented in six regional offices. Unfortunately, the staff is located throughout all the different offices and cannot meet at the same time or in the same location. As an instructional designer for the corporation, you have been charged with implementing a training workshop for these offices. As part of the training, you were advised how imperative it is that the staff members share information, in the form of screen captures and documents, and participate in ongoing collaboration. The required training requires that staff members that are located throughout six different locations participate and share information. To effectively deliver the instruction, it is very important to research and make wise decisions when selecting the learning tools. With the growth of technology over the past several years, there are many different learning tools available for use. “The growth of online distance learning is explosive in almost all sectors and in many developed and developing countries” (Moller, Wellesley, Foshay, & Huett, 2008, p. 70). Training sessions will be held in an asynchronous learning environment since the staff member are not at the same location and are unable to meet at the same time. Simonson, Smaldino, Albright, & Zvack state “online activities for students should have specific pedagogical or course management purposes” (p. 248) and “learning experiences should be provided to each learner whether local or distant, and the expectation should be that the equivalent outcomes, rather than identical, should be expected of each learner” (2012, p. 52). The job of the Instructional Designer will be to implement the workshops in each of the six offices therefore it would be beneficial to conduct a needs assessment to determine the types of technology that each location has available to them and also to try to determine the types of learners that will be involved. It will be important for the staff members at each location to collaborate and share information with each other. There are many Web 2.0 tools available that can be used to allow learners from all sites to participate in group activities, share documents/screen captures and also interact with each other at different times. Learning modules with clear descriptions and procedures should be designed that will allow the learners to have some hands on learning experiences. 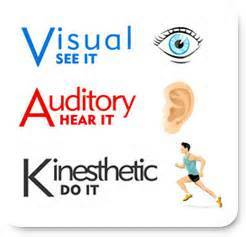 To ensure that every learner is benefitting from the training, the presentation should include both auditory/verbal and visual/pictorial aspects. The use of Wiki’s would be an appropriate technology tool for this type of collaborative learning environment. Wikis give students the ability to add a contribution to a collaborative project, or communicate with other students at any time which leads to more access to education (Beldarrain, 2006). With the use of Wiki’s, learners are able to have ongoing conversations in discussion threads, and edit pages. Within a wiki, learners are in control of their own learning and are able to work at their own pace (Simonson, Smaldino, Albright, & Zvack, 2012). By allowing them to do this, it makes it gives them the flexibility to work in an environment that is more effective and productive for them. Working collaboratively, a wiki allows a group so share documents and screen captures and also brings them together to review information and organize ideas. Group work helps to build communication skills and lets the employees feel that they have made a contribution to the company. In a corporate setting all staff must be competent on the new information system, a wiki keeps a record or history of all interaction and changes made that can be viewed by the trainer to help determine the competency of each learner (Laureate Education, Inc., 2014). Instructional YouTube videos can also be used to enhance the learning experience. Step by step sequences can be demonstrated and incorporated into the training using movie or picture files. Videos help make the classroom more engaging and also appeal to the various learning styles of the students because when used effectively it enhances visual memory. Traditional classrooms have drastically changed over the past 20 years. There are many Web 2.0 tools available that can be used in this type of asynchronous learning environment, however I believe that the use of Wiki’s and Videos will help to maximize the effectiveness of the training needed. Beldarrain, Y. (2006). Distance education trends: Integrating new technologies to foster student interaction and collaboration. Distance Education, 27(2),139–153. Moller, L., Foshay, W., & Huett, J. (2008). The evolution of distance education: Implications for instructional design on the potential of the web (Part 1: Training and development). TechTrends, 52(3), 70-75. Simonson, M., Smaldino, S., Albright, M., & Zvacek, S. (2012). Teaching and learning at a distance: Foundations of distance education (5th ed.) Boston, MA: Pearson.